Morocco's government is threatening to take control of UN-monitored buffer zones in Western Sahara amid concerns that the mission is failing to keep out Polisario Front independence fighters. The warning Sunday came as the UN is preparing a report this week on whether to extend its 27-year-old peacekeeping mission for Western Sahara, claimed by both Morocco and the Polisario. 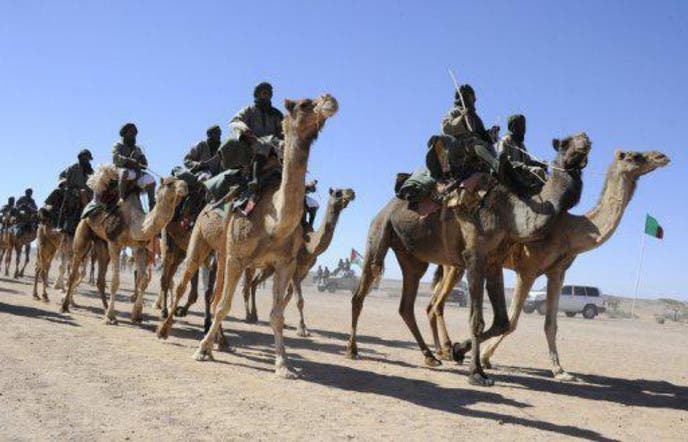 Moroccan Foreign Minister Nasser Bourita said Sunday that the Polisario recently moved members to the UN-controlled areas of Bir Lehlou and Tifariti. He told reporters after an emergency parliament session that if the UN doesn't stop "these provocations, Morocco will have to act out its responsibility and intervene." He did not say when. The Saharans' envoy to Algeria accused Morocco of escalating tensions to influence the upcoming UN report.